(NA & NA­Veterinary), Soldier Clerk/ Storekeeper, Soldier Tradesman vacancies. years for Post 2 as on 01­10­2017. Selection Process: Selection will be based on Physical Fitness Test, Physical Measurement, Medical Exam. Written Test. Login through the website “joinindianarmy.nic.in”. then Click on ‘JCO / OR Apply / Login’. Click on Registration & fill all the details. Take printout of application for future use. 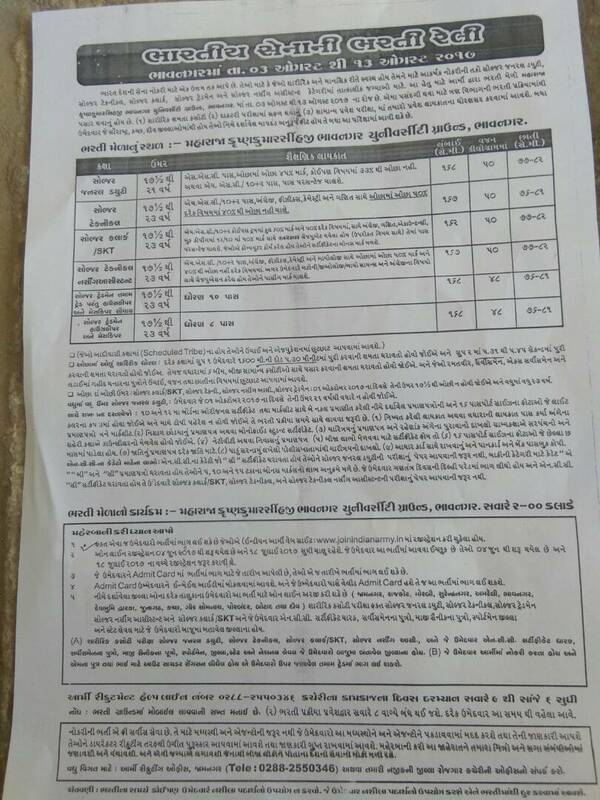 learngujarat Daily Update Latest Gujarat & India Level All Types Government Jobs.We also Updated Various Exams schedule. Also Answer key, Result, Merit and Selection Lists.